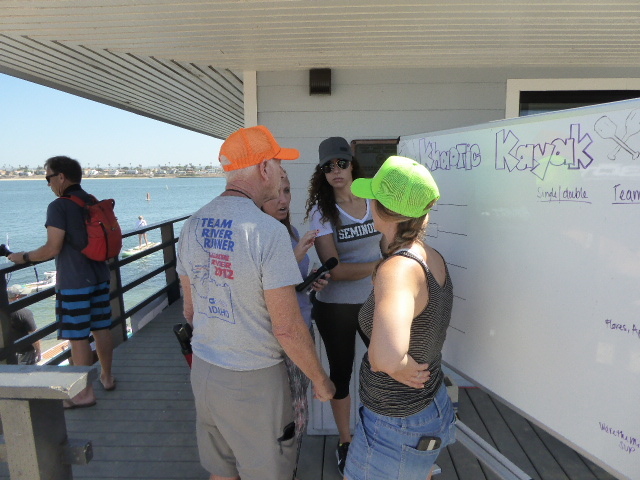 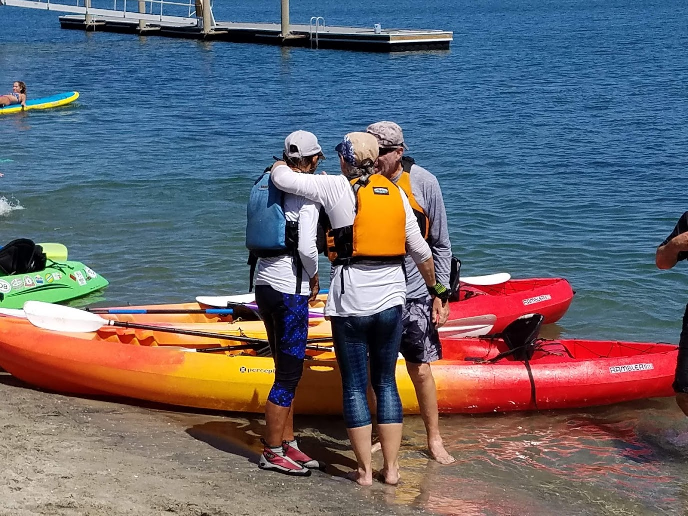 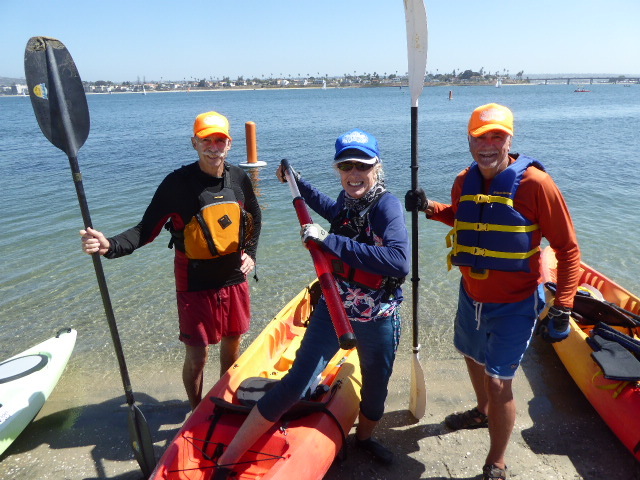 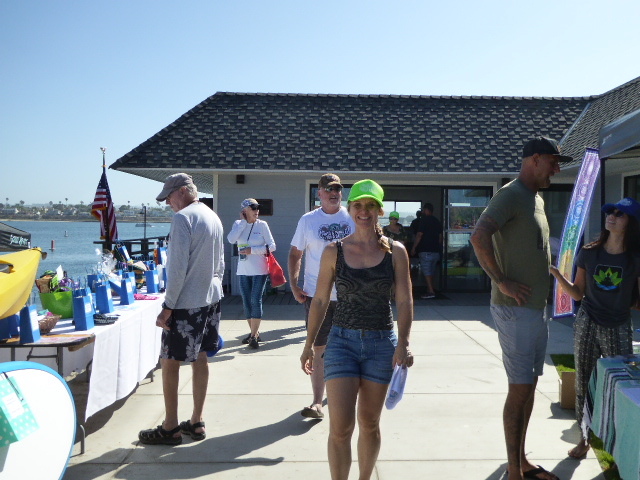 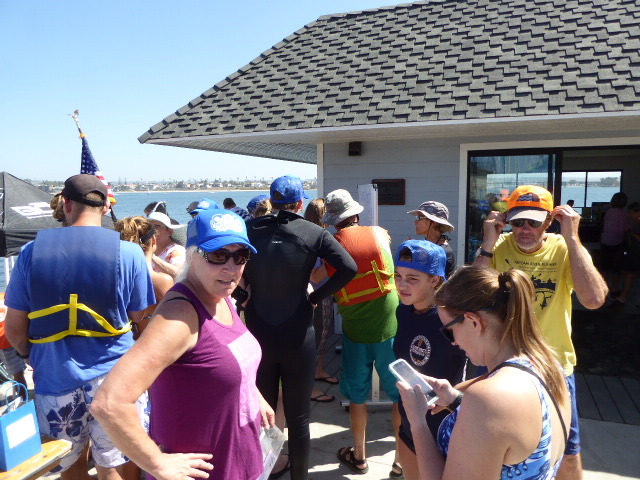 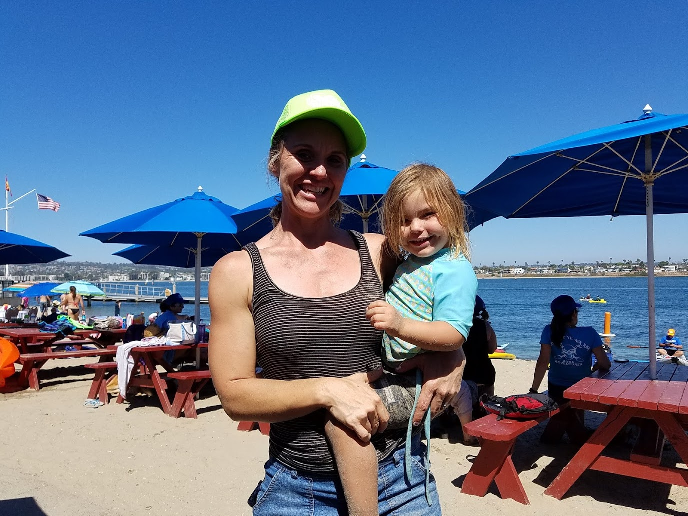 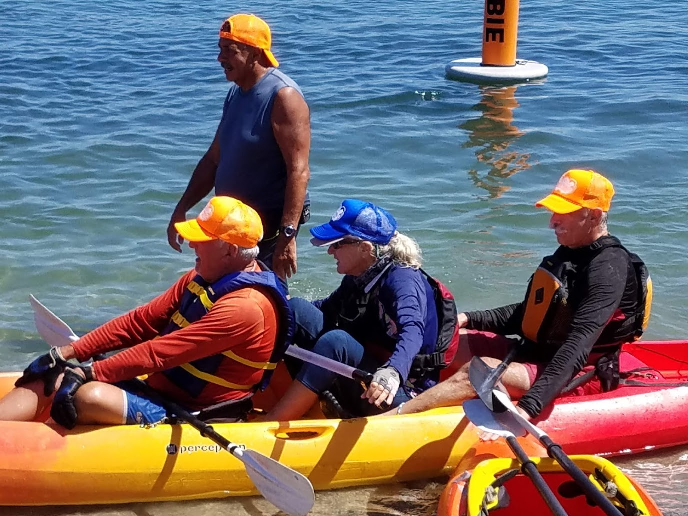 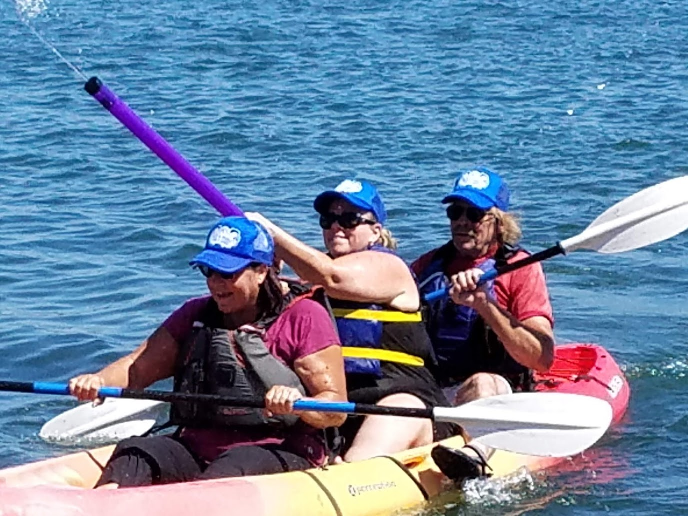 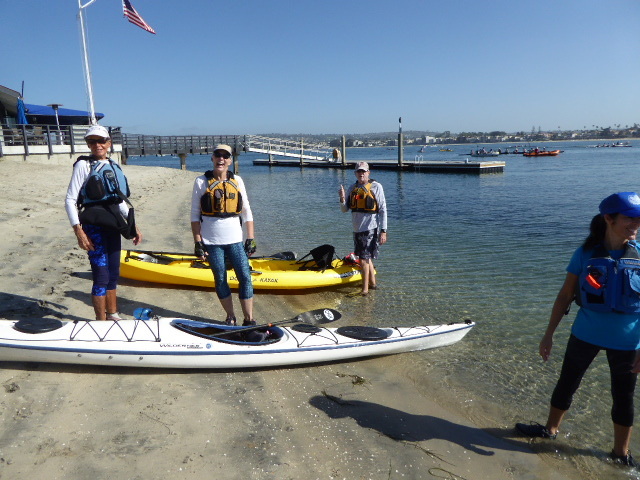 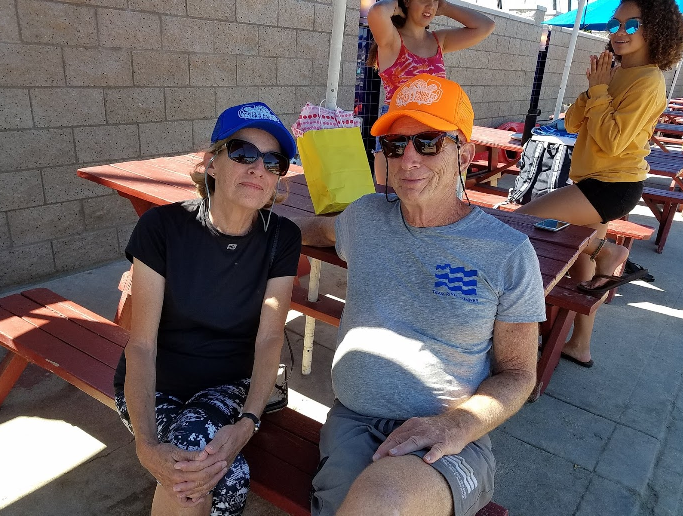 Saturday, September 15 at the Mission Bay Yacht Club, many people, including several SDKC members showed up to support the work TRR does for our veterans. 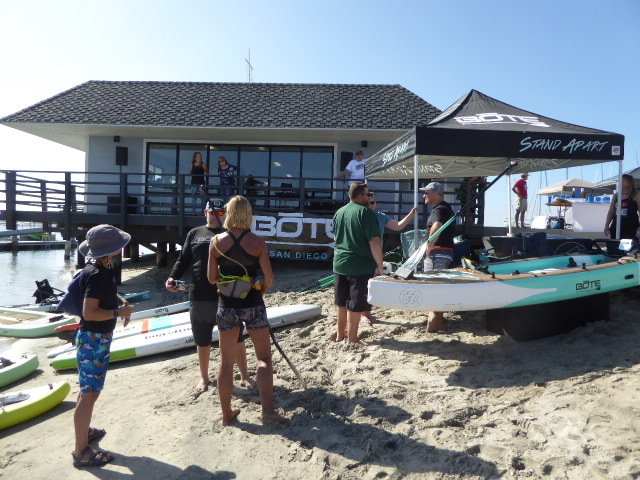 This location will hopefully be the future site of the “Pints and Paddles for a Cause” events because it is ideal, having a private beach and good facilities for a fun day raising money. 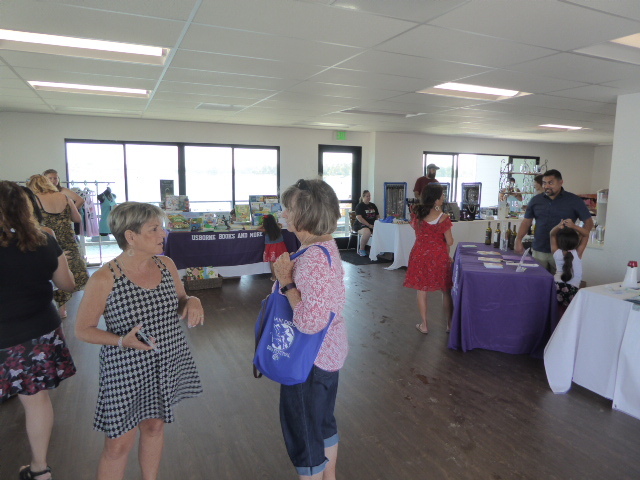 This year there was great music, plenty of tables, several donated items for the raffle, good food and beer…and lots of laughter. 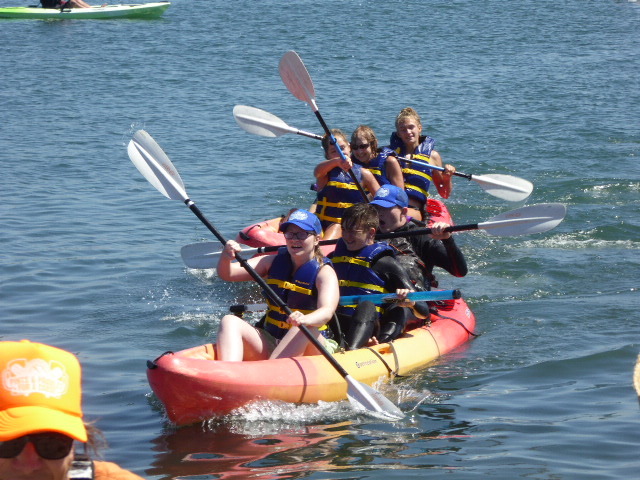 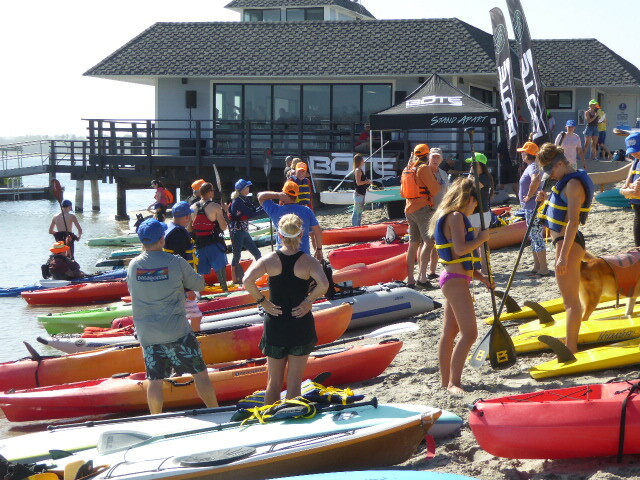 The day started with a Social Paddle around Sail Bay, with several participants, then the “Khaotic Kayak Races” happened with great fun of several “Heats”. 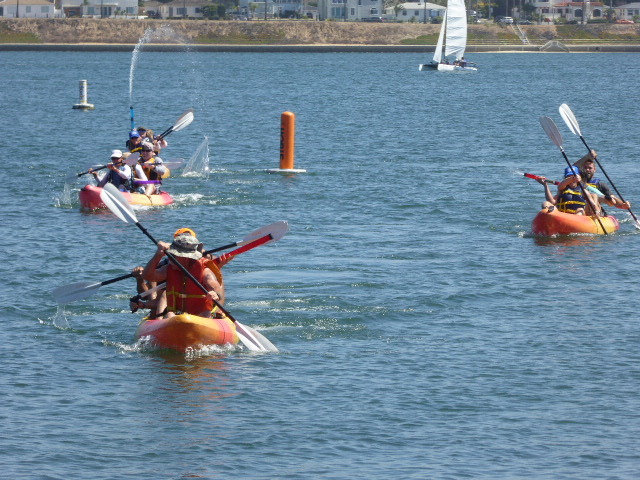 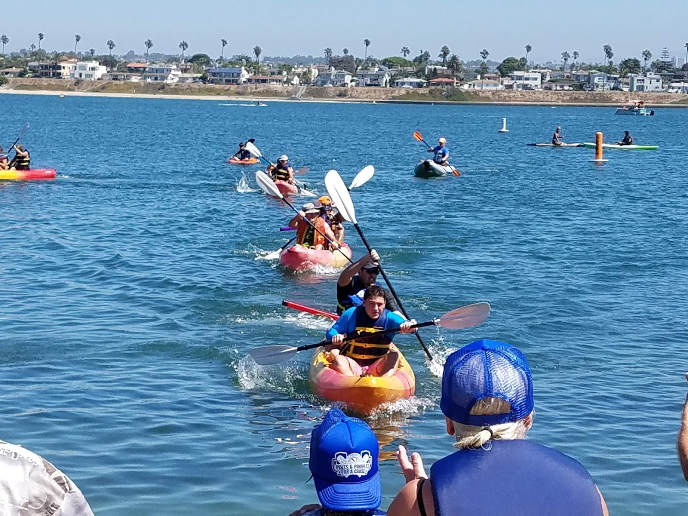 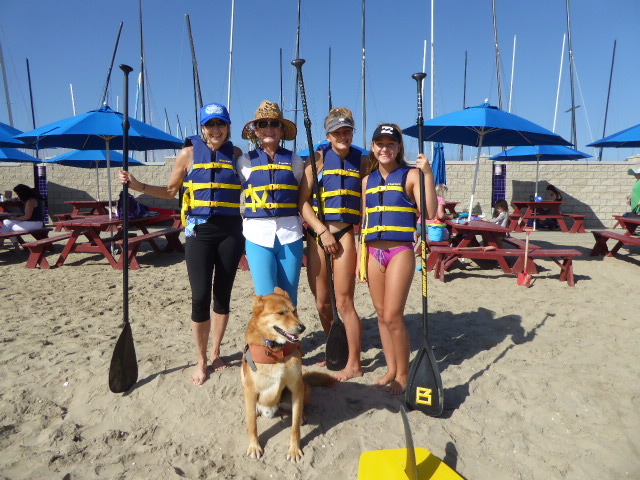 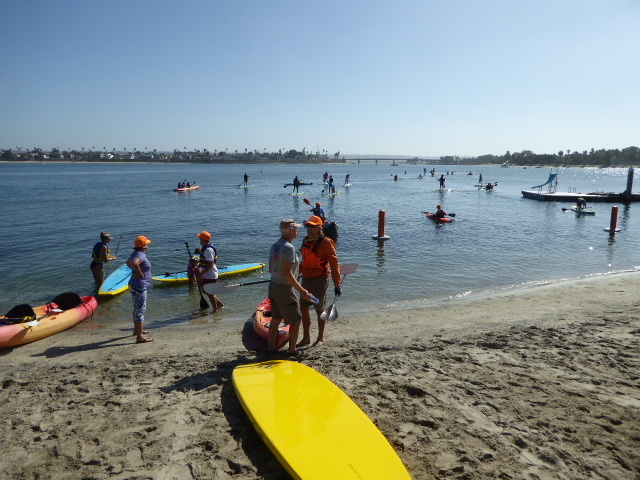 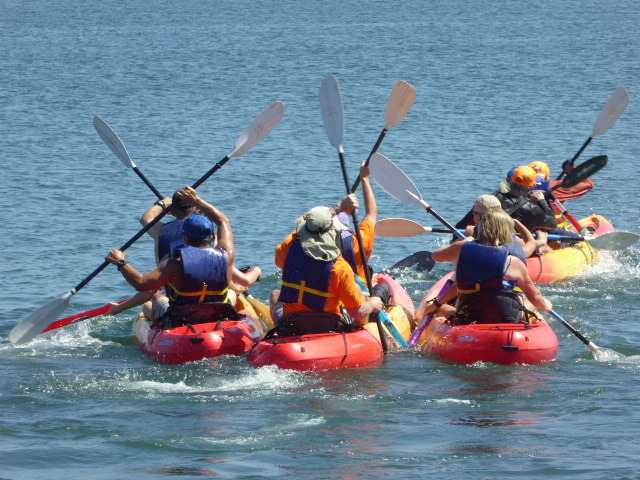 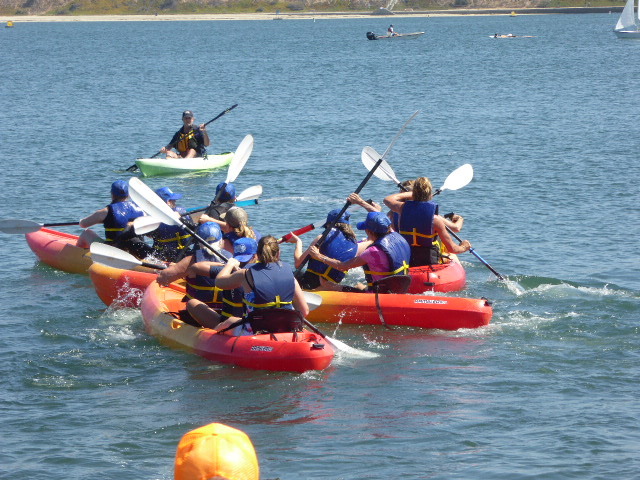 After those races, the “SUP Pandemonium” races took place. 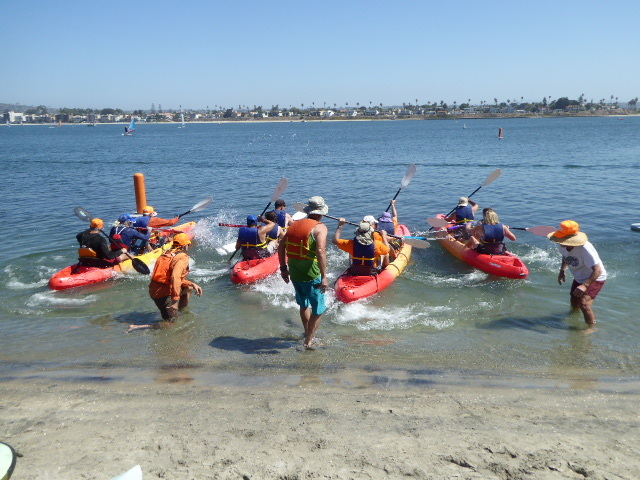 Be sure to select San Diego as the “Target” for your contribution. 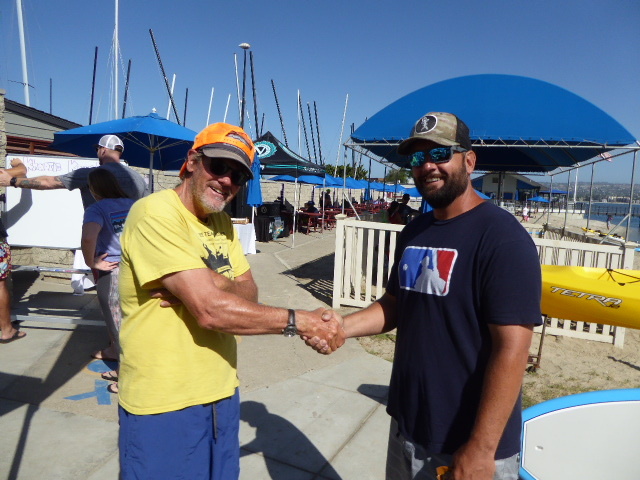 And for TRR, thank you for that. 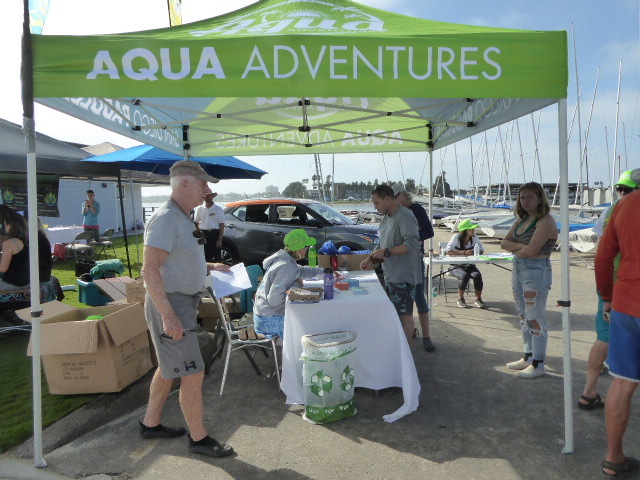 Also, a big shout-out to Craig and Ashleigh at Aqua Adventures for being a huge supporter of TRR for this event, and for helping in many ways throughout the year. 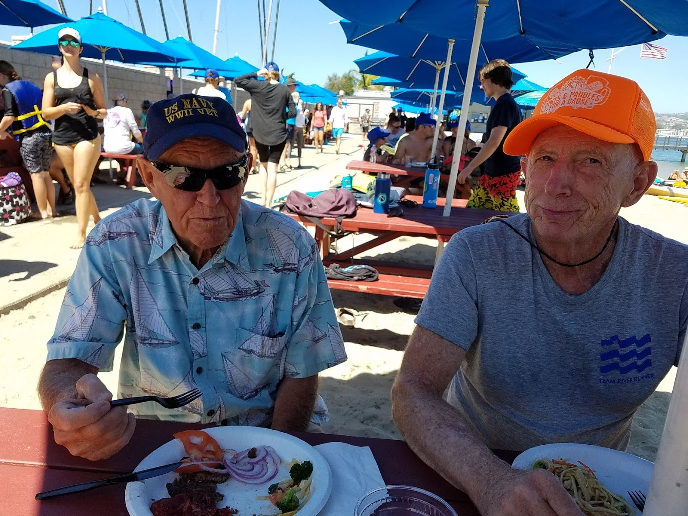 This entry was posted in Uncategorized on September 16, 2018 by Jay Murdock.